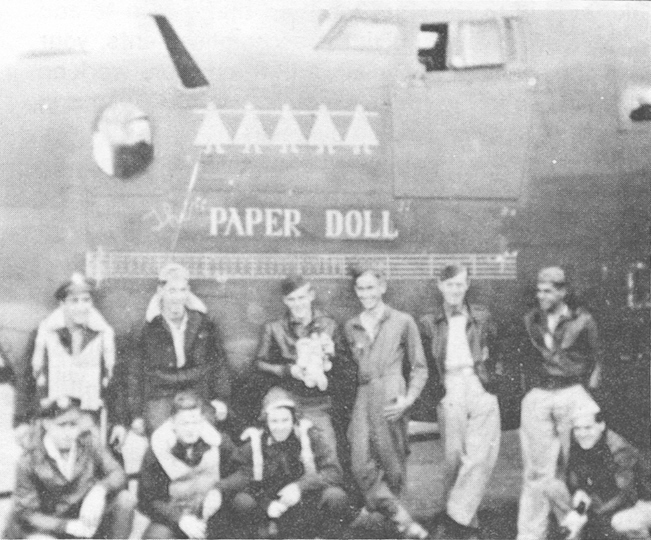 The Tuttle Crew with Paper Doll, 42-94799. 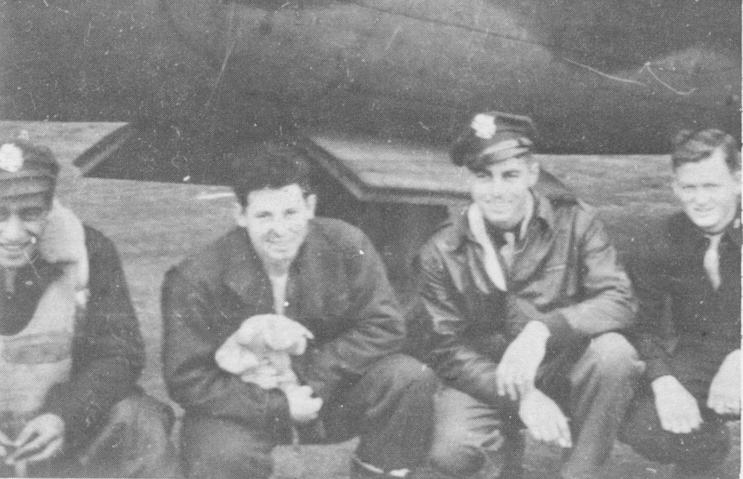 L-R: Francis Gullace (N), Evan Rogers (CP), Don Tuttle (P) and Earl Strong (B). 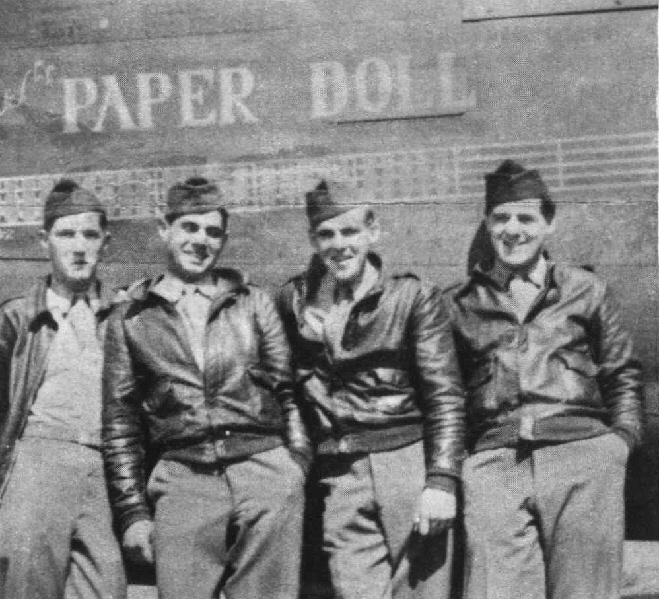 The first 34th Bomb Group airmen to complete a 35 mission tour of duty on August 13, 1944. L-R: William Harrow, Leonard Chatoian, Charles Pell and Glenn Henry.